It’s not every day that you find a medical spa with a doctor who has expertly instructed over 200 physicians across the United States in cutting-edge robotic surgical procedures. 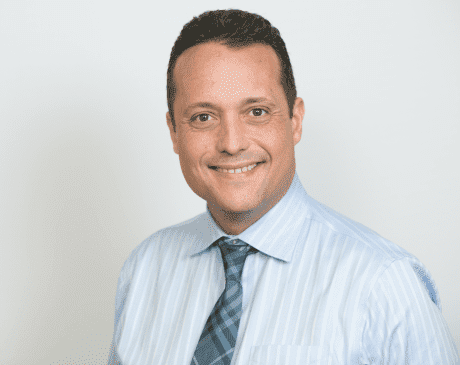 Robert Santa-Cruz, MD is that exceptional doctor, and he has put together a team of dedicated skin care specialists at Lasertique Spa in Coral Gables, Florida. Together, they provide superior treatment for a wide variety of skin disorders, a wide range of anti-aging services, and state-of-the-art laser and ultrasound technology. A native of Miami, Dr. Santa-Cruz graduated with honors in biomedical engineering from the University of Pennsylvania in Philadelphia. He then returned to Florida to complete his medical degree at the University of Miami School of Medicine in 1998, where he received the John Foman Award for the highest surgical performance in his medical school class. Dr. Santa-Cruz went on to complete a six-year training program in urology at Duke University Medical Center in Durham, North Carolina, one of the top five urology programs in the country. In addition to that specialized training, Dr. Santa-Cruz also pursued advanced specialties in laparoscopy and robotic surgery during a fellowship at the University of North Carolina, Chapel Hill. Since 2004, Dr. Santa-Cruz has performed over 900 robotic procedures. After his fellowship, Dr. Santa-Cruz worked as assistant professor of urology at the University of Mississippi in Jackson, where he was also the director of minimally invasive urology, before transitioning into private practice in 2006. In addition to opening Lasertique Spa, Dr. Santa-Cruz is a surgical proctor for Intuitive Surgical®, creators of the da Vinci® robot for minimally invasive surgery. He continues to instruct urologists and gynecologists across the country. At Lasertique Spa, men and women receive state-of-the-art treatments with the same high standard of care that Dr. Santa-Cruz provides for surgical patients.